Going to the movies in the summer is one of the most fun experiences possible. The results are wonderful no matter what. Studios will spend outrageous amounts of money to make blockbuster films. Many end up working and making crazy high profits, but many more will barely break even or will fail at the box office. Yes, this is a fairly evil look on cinema. I don’t outright root for movies to fail, but when the summer allows for movies to either be good and fun or bad and most likely still fun then it’s an awesome time. Tomorrowland isn’t very good according to critics, yet the first free night I get I’m going to go see it because I like George Clooney. All of this is a roundabout way to remind you all that the summer movie experience of a lifetime is upon us. In just a week’s time Entourage will hit theaters. I’m not exactly proud to say that I’m excited for this film, but I’m also not shamed to admit that I will most likely see this movie as soon as I possibly can. I’m talking about taking a sick day from work. I cannot wait to see this film. One of the beautiful things about Entourage in general is how it can be endlessly entertaining if you don’t take it seriously whatsoever. For example, I rewatched the majority of the series last summer and decided to just have fun with the crazy world that the characters lived in. If I actually wanted to break a mental sweat I’d start worrying about how Vincent Chase is a fairly poor actor, as is Adrian Grenier, and is completely unbelievable as the biggest star in the world. That and getting jealous that Eric Murphy could somehow land Sloane despite the fact that I’m, like, right here. None of that matters. What matters is that I liked watching Jeremy Piven dagger people in conversation and cringe at Johnny Drama while eating Twinkies. When you have fun with the show it is totally amazing. I’m not expecting Entourage to win best picture. I don’t want it to reinvent the wheel. I just want to kick back and enjoy some characters I know and enjoy and escape my responsibilities. 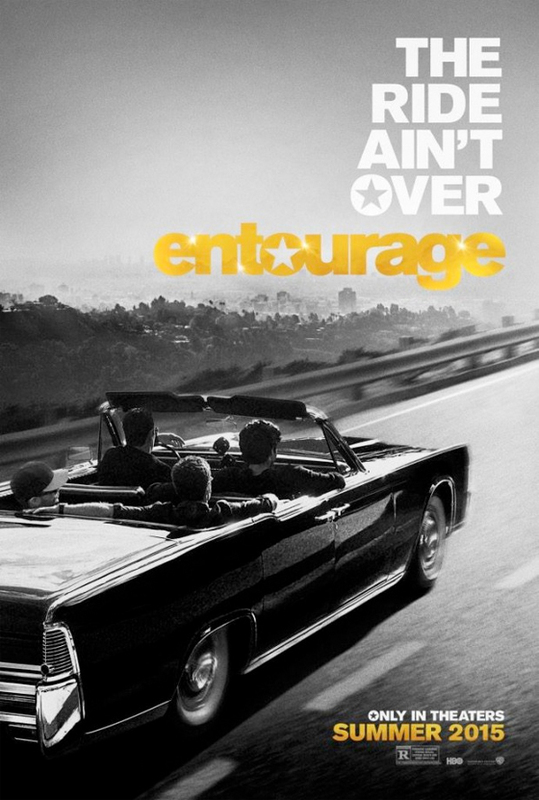 That said, Entourage will be the greatest movie ever made. No one can convince me otherwise. Seven days.